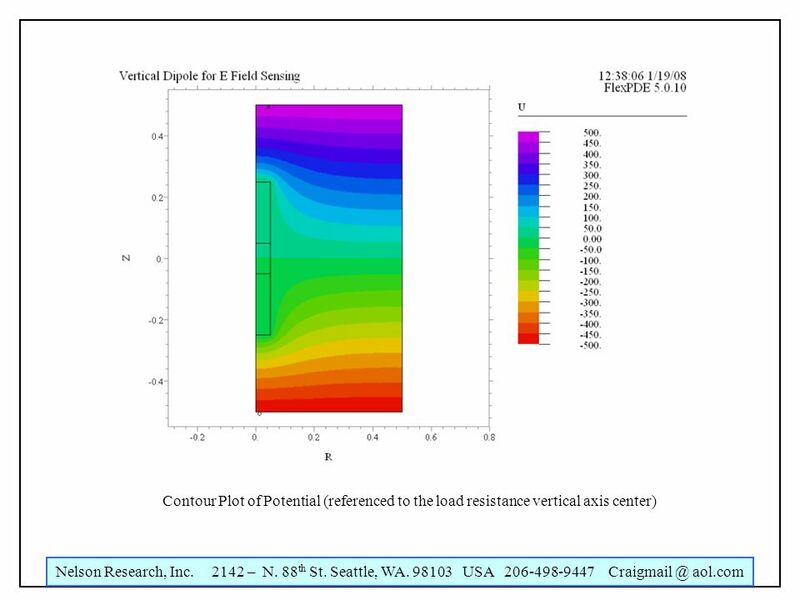 Nelson Research, Inc. 2142 – N. 88 th St. Seattle, WA. 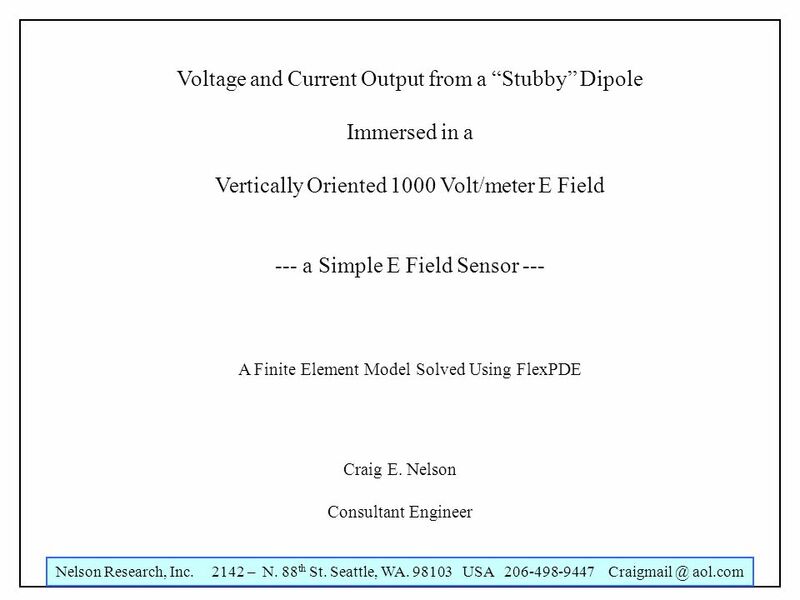 98103 USA 206-498-9447 aol.com Voltage and Current Output from a Stubby Dipole Immersed. 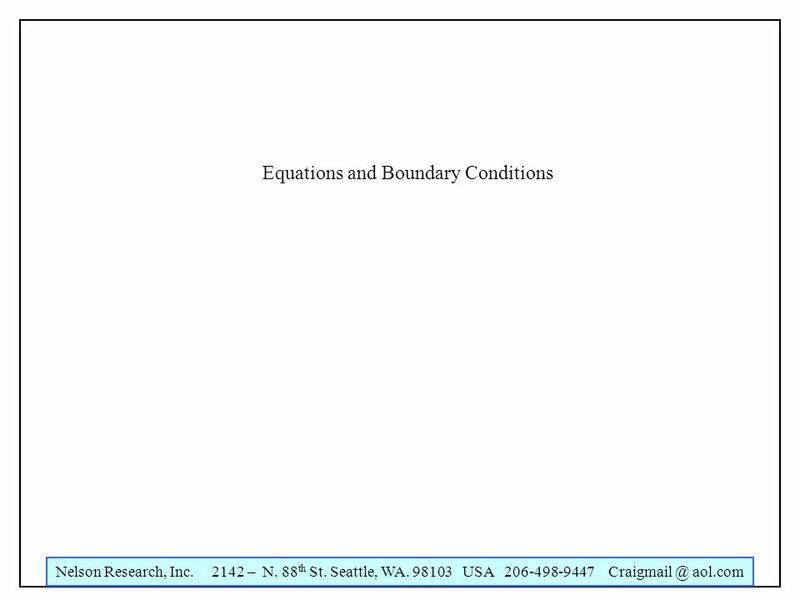 2 Nelson Research, Inc. 2142 – N. 88 th St. Seattle, WA. 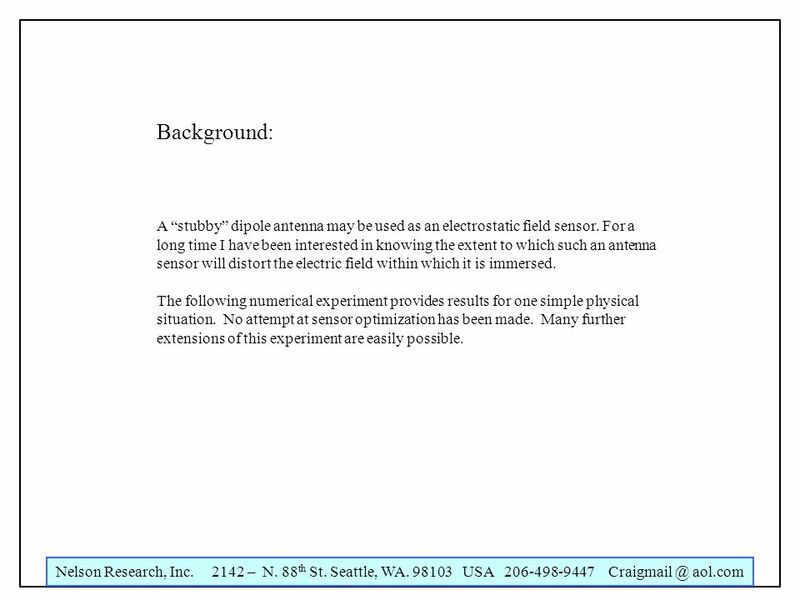 98103 USA 206-498-9447 Craigmail @ aol.com Background: A stubby dipole antenna may be used as an electrostatic field sensor. 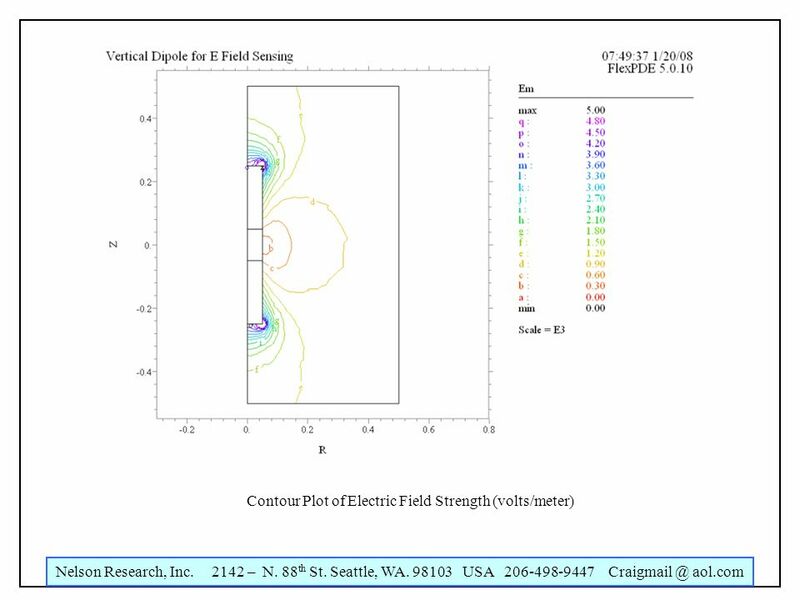 For a long time I have been interested in knowing the extent to which such an antenna sensor will distort the electric field within which it is immersed. 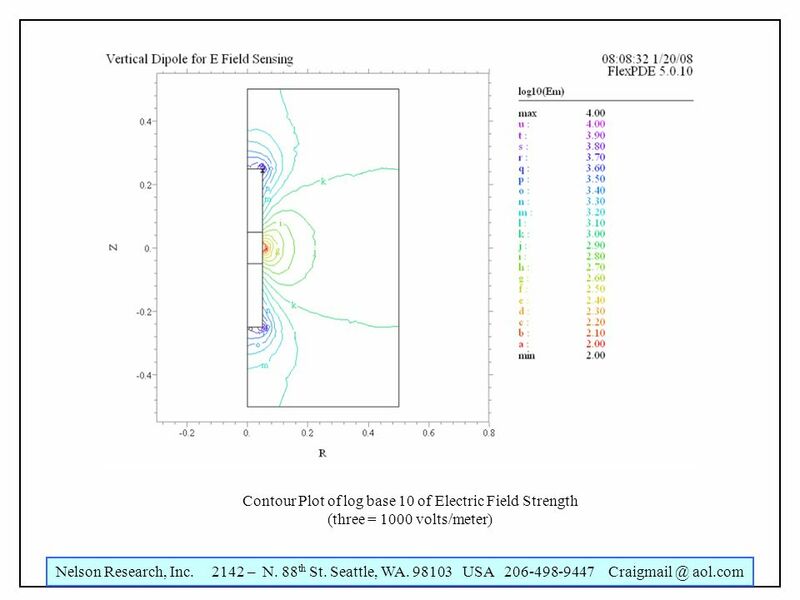 The following numerical experiment provides results for one simple physical situation. 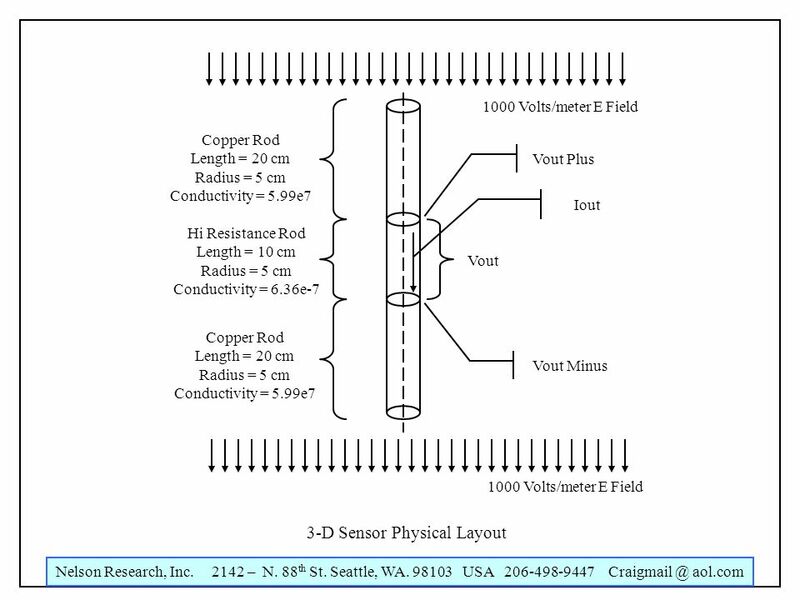 No attempt at sensor optimization has been made. 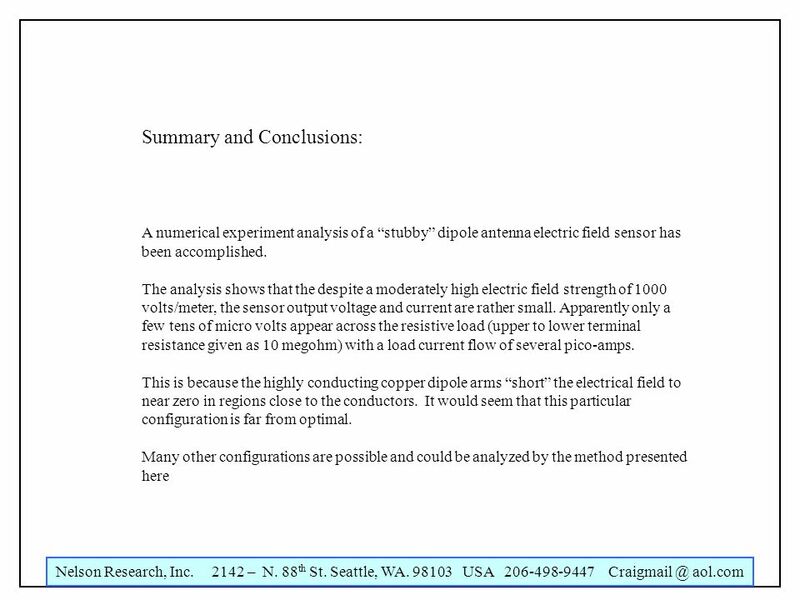 Many further extensions of this experiment are easily possible. 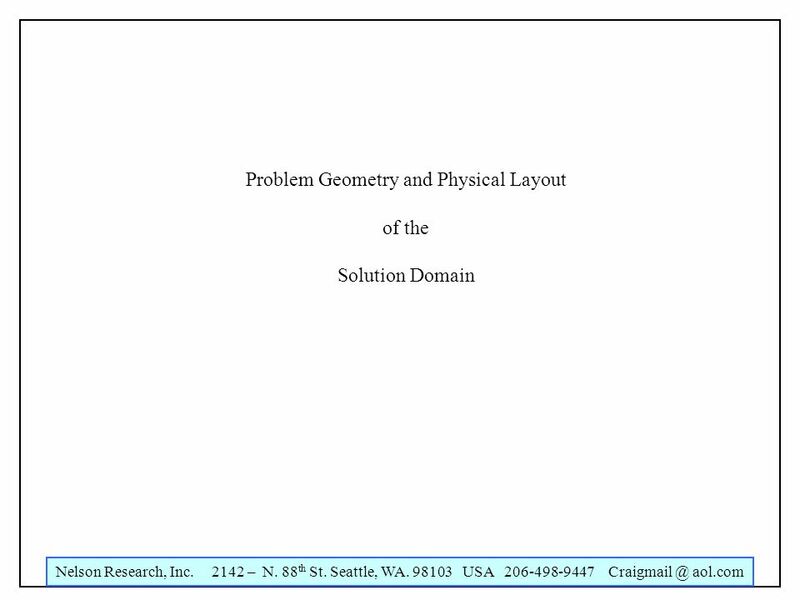 Download ppt "Nelson Research, Inc. 2142 – N. 88 th St. Seattle, WA. 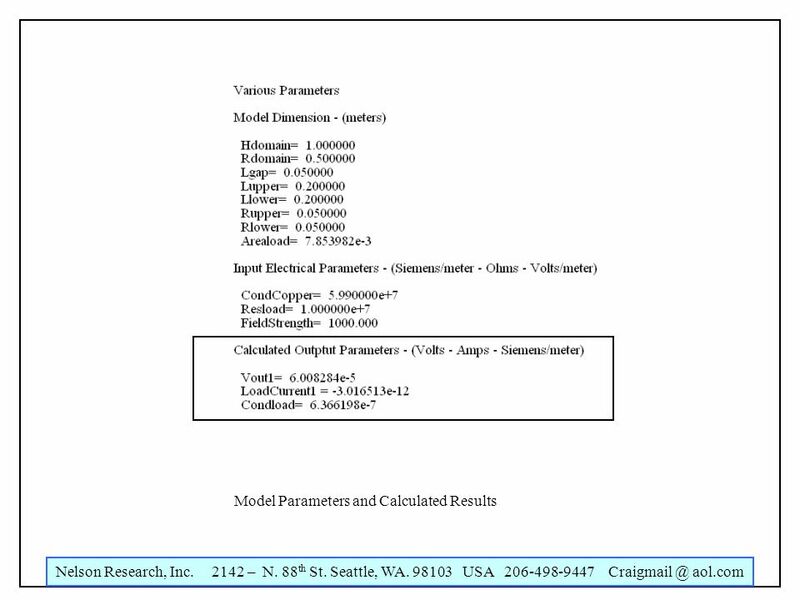 98103 USA 206-498-9447 aol.com Voltage and Current Output from a Stubby Dipole Immersed." 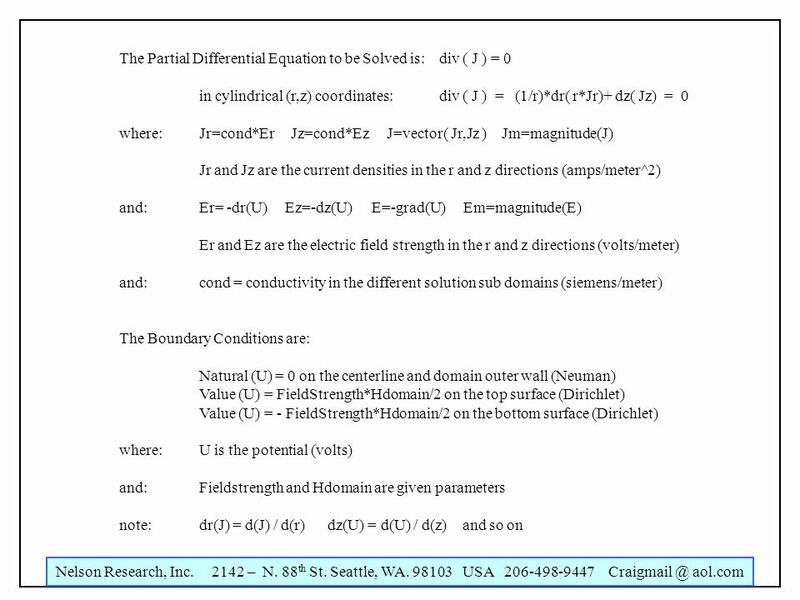 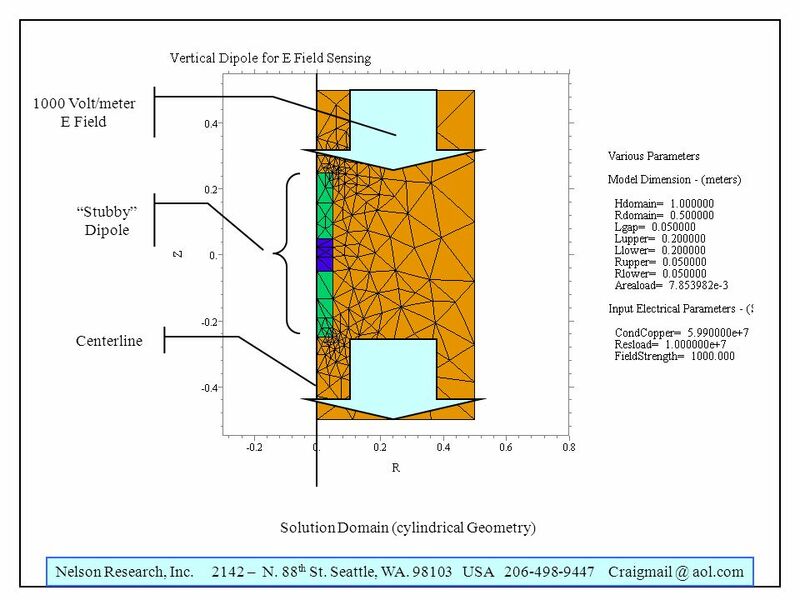 Nelson Research, Inc – N. 88 th St. Seattle, WA USA aol.com Conditions for Bubble Formation in Porous Regions and. 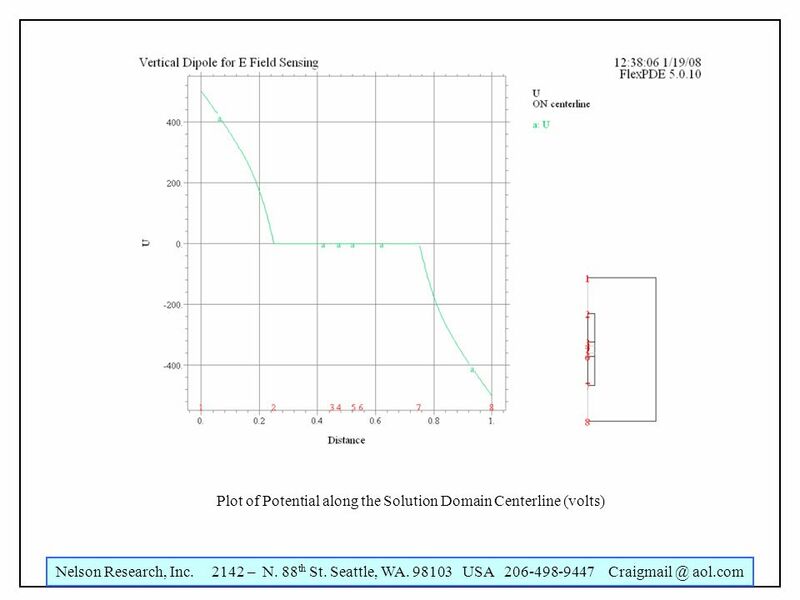 Nelson Research, Inc – N. 88 th St. Seattle, WA USA aol.com Analysis of Two Coaxial Microwave Chambers having Possible. 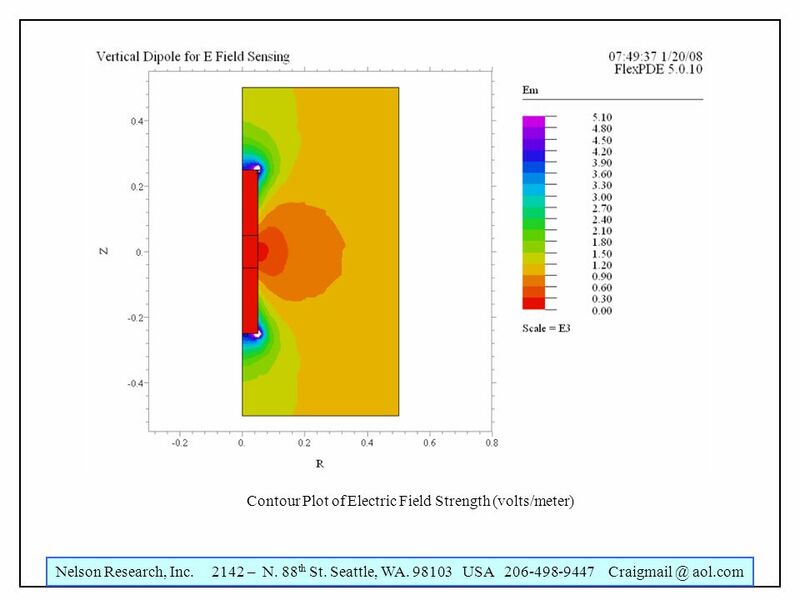 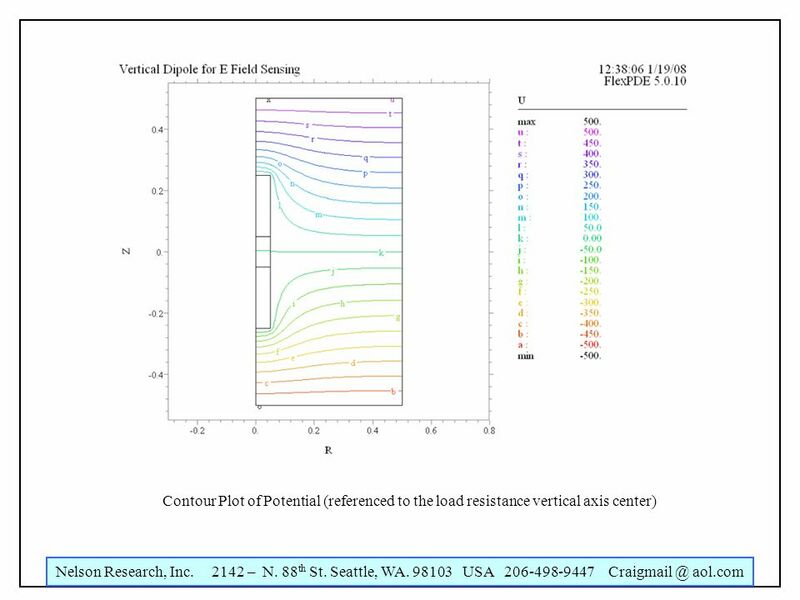 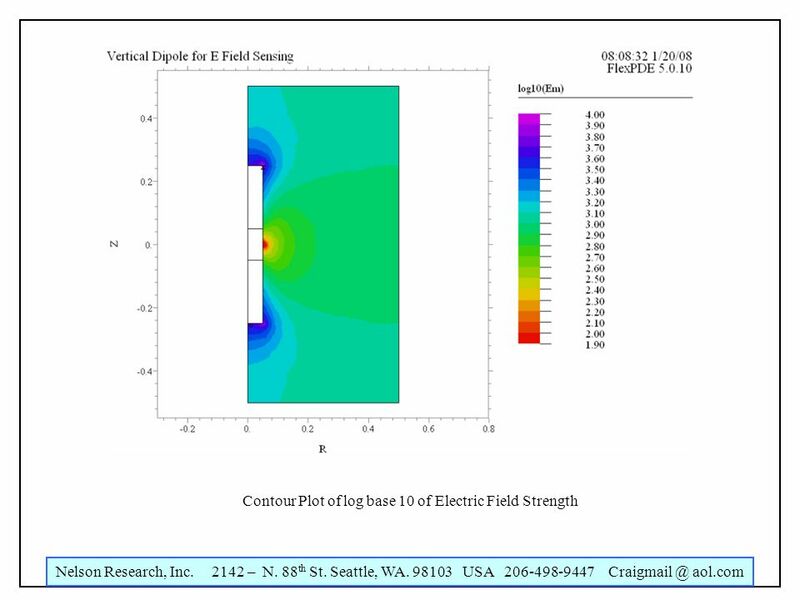 Nelson Applied Research, Inc – N. 88 th St. Seattle, WA USA aol.com Study of Deformation due to Thermally Induced. 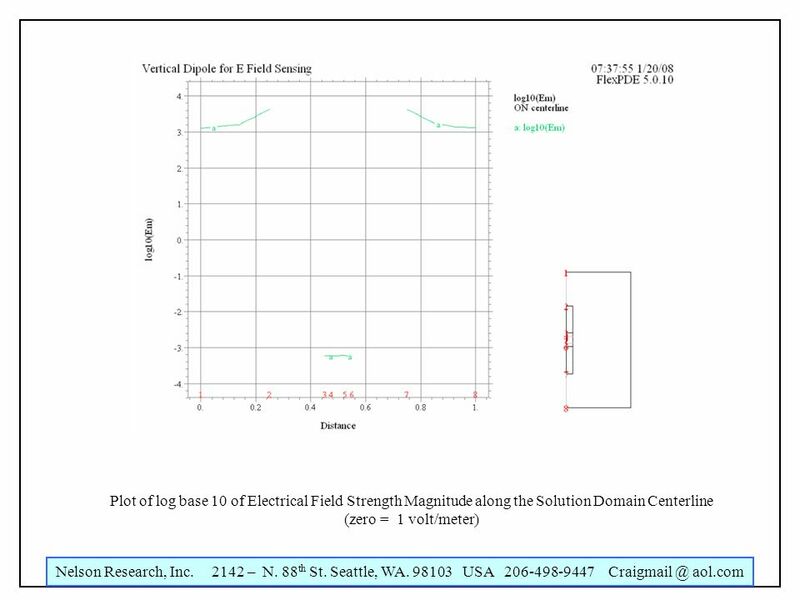 Nelson Research, Inc – N. 88 th St. Seattle, WA USA aol.com Craig E. Nelson – Consultant Engineer Toothbrush Bristle. 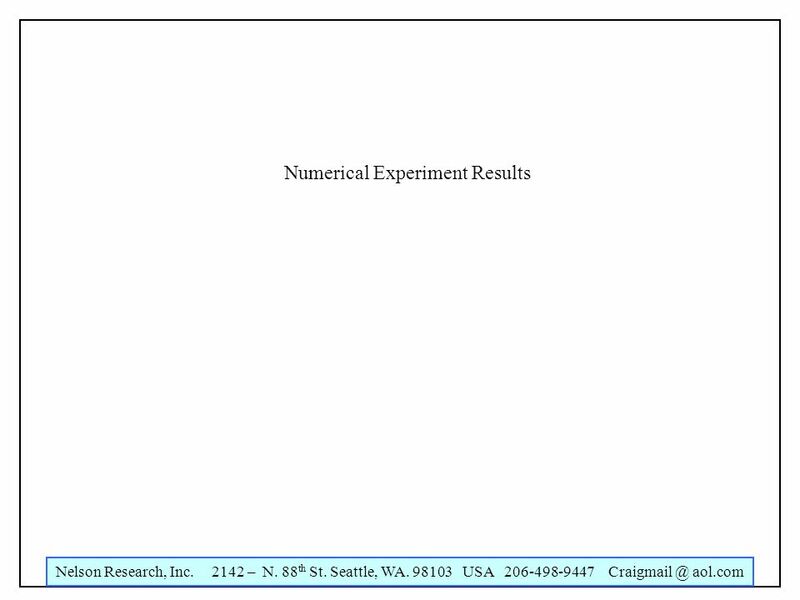 Nelson Research, Inc. 2142 – N. 88 th St. Seattle, WA. 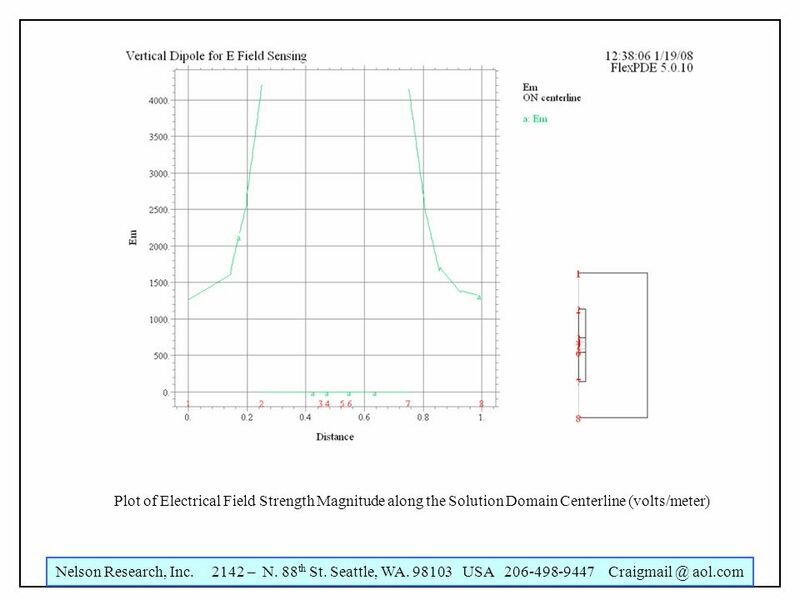 98103 USA 206-498-9447 aol.com Magnetic Fields of an Electric Guitar Pickup Craig E.